The House Veterans Affairs Committee will be using the August recess to hear from the people. 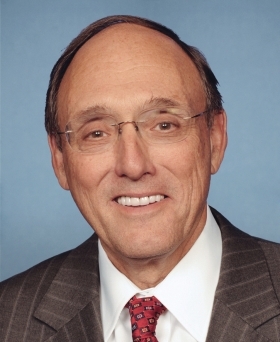 Committee Chairman Rep. Phil Roe (R-Tenn.) scheduled a field hearing for Aug. 10 in Duluth, Minn., to get a sense of how the Veterans Affairs Department can improve access to care, especially in rural areas. Among other things, the committee will look at how the VA can improve capacity at its medical centers and clinics. The committee will also delve into the Choice program, which allows veterans to seek care at non-VA facilities. VA Secretary Dr. David Shulkin during a June Senate hearing announced plans to overhaul Choice. The new program would jettison the current day and mile requirements. Instead, a VA clinician would perform a health-risk assessment on a patient and determine if the VA or a private provider would be the best place for the patient to receive care and work together on the next steps for treatment. Late last week, the administration said it plans to increase the use of technology to improve veterans' health. Initiatives include using video technology and diagnostic tools to conduct medical exams. Veterans also will be able to use mobile devices to make and manage appointments with VA doctors. "We call it 'anywhere to anywhere' VA healthcare," Shulkin said. Existing telehealth programs provided care to more than 700,000 veterans last year, he said.